Our goal is to create a lifetime match for you and your new pet. We’ve learned that good relationships lead to successful adoptions, and rely on communication, education, and lending a helping hand to make adoptions last. You can check out our available cats & dogs here on the website, but visiting the shelter is the best way to see if any of our awesome animals are right for you. A visit is also a good time to talk to one of our staff members about what kind of pet you’re looking for. Complete our Questionnaire. You can view our Adoption Questionnaire here. Feel free to use your smartphone or other connected device (tablets included). Our adoption questionnaire helps us learn about your lifestyle, so we can match you with the perfect pet. PLEASE MAKE SURE YOU FOLLOW UP WITH THE AAC STAFF AFTER SUBMITTING YOUR APPLICATION. You can call us at 856.435.9116 or email info@animaladoption.com. If necessary, we’ll ask to arrange a “meet” with any pets you currently own, or any family members that haven’t met your potential new pet. We want to make sure everyone gets along! Once your Questionnaire is reviewed by a one of our knowledgeable staff members, we’ll walk you through the contents of the adoption agreement. After signing it, you’ll be given a copy, along with documentation of your pet’s known vaccination and medical history. You’ll need this to take good care of your pet! …we offer 30 days of free pet insurance through 24PetWatch, so you’ll need to activate that via email. Note: All of our pets are spayed/neutered, vaccinated, microchipped, and ready to go home! If your pet is lost or you’ve found a pet and you need more information on the next steps, read through in information below. Call your local animal control office to report the lost animal. Municipal animal control offices are a central location for lost and found pet information and are usually the first place that a good Samaritan will look when he or she has taken in a stray pet. Municipal animal control offices also pick up and house stray pets. It’s also a good idea to physically visit your local animal control office to verify whether or not your pet is being housed there. Look on this page for a matching listing for your pet. This page is a shared database of lost/found pets reported to Animal Welfare Association, Animal Adoption Center, Camden County Animal Shelter and Voorhees Animal Orphanage. In South Jersey, specific animal shelters are responsible for lost and stray pets within corresponding townships. View the list here. Be sure to contact the appropriate shelter if a match is found. Your pet may be at another shelter in the area. Be sure to contact all area shelters including Almost Home Animal Shelter, Burlington County Animal Shelter, Cumberland County SPCA and Gloucester County Animal Shelter. Call Animal Adoption Center at 856.435.9116 to list the pet this page, which is a shared database of lost/found pets in Camden County. Call your local animal control office to report the found animal. Municipal animal control offices are a central location for lost and found pet information and are usually the first place that a pet owner will look when he or she has lost a pet. Look on this page for a matching listing for the pet. This page is a shared database of lost/found pets reported to Animal Welfare Association, Animal Adoption Center, Camden County Animal Shelter and Voorhees Animal Orphanage. 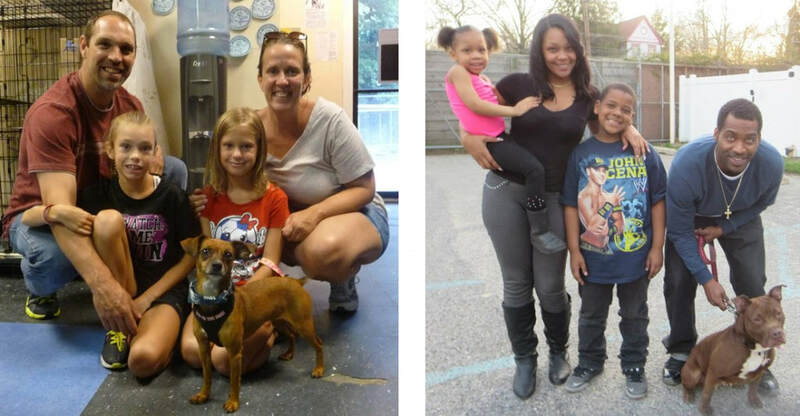 In South Jersey, specific animal shelters are responsible for lost and stray pets within corresponding townships. View the list here. Be sure to contact the appropriate shelter if a match is found. The pet’s owners may be searching at other area shelters. Be sure to contact all area shelters with a found report including Almost Home Animal Shelter, Burlington County Animal Shelter, Cumberland County SPCA and Gloucester County Animal Shelter.